Welcome to our web store guide. This page will show you how to easily navigate the Red Dragon Taekwondo Web Store. Start by navigating to the page shown and clicking on the image relevant to you. Equipment including sparring gear such as chest-guards, helmets, gloves, mouth-guards etc. Here you can select the ninjas or dragons starters pack that you are wishing to purchase. Depending on when you start in the term you may be looking for different options. If you start at the beginning of term you will be looking for either the unlimited full term starters pack (training more than once per week) or the basic full term starters pack (one class a week). If term has already commenced you are looking for a pack that shows how many weeks of classes we have left, if you are not sure on what package you should be choosing please refer to the instructor of your chosen class. Here you can select term fees for either ninjas (4-7yrs) or dragons (8+yrs). 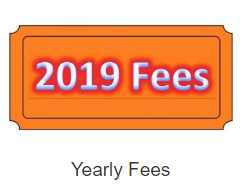 Here you can select the yearly fees for all classes including. Here you can select from a variety of Taekwondo equipment including. Here is where you can pay for your grading fees, these fees include options for. Here you can enter our annual Red Dragon Taekwondo Tournament by selecting this option. Things to include in your entry. Once you have navigated to the right page and have selected what you are paying for, you will be taken to this page where you must include the following information. From there you can add these items to your bag and proceed to the checkout and pay with the following methods. After you have added your items to the bag and have gone through the checkout you will be directed to this page. Here you will enter your details for your order including full name, email, address etc. Once you have entered your details click on the payment method you wish to proceed with, these including. After you have selected your payment method you will be redirected to this screen in which you can enter your card details or sign in using your paypal account. Once you have entered all the details scroll down to the bottom and select ‘pay now’ to proceed with your order. Make sure to include all details possible including email address so you can be sent a receipt.